We have all had something with hot peppers that has pretty much been like eating a flamethrower, no matter what our tolerance. The heat in a pepper can be measured, and is done by the Scoville scale, which measures in terms of capsaicin in the pepper. The number of Scoville heat units (SHU) indicates the amount of capsaicin present, with the higher SHU peppers being the hottest. For the true Hotheads, some hot sauces actually use their Scoville rating in advertising as a selling point. This is how they all stack up – your favorite hot pepper is probably here somewhere on the list. Well, you have to start somewhere. Every journey .. and all that stuff. To find the hottest peppers in the world, you have to begin at the peppers that have no heat at all, which is the Bell pepper – definitely salad safe. Now on to something with a little more zip. Yes, these are the same sweet cherry peppers, slightly spicy, that we find inside our olives. Zesty, huh. 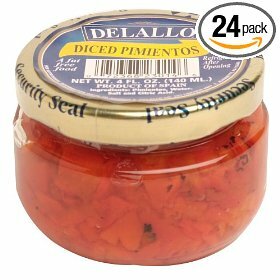 Peperoncini, better known as Tuscan peppers, sweet Italian peppers and golden Greek peppers, are a little zesty too, but nobody will say “wow” to this level of heat. Rated: safe for salads. 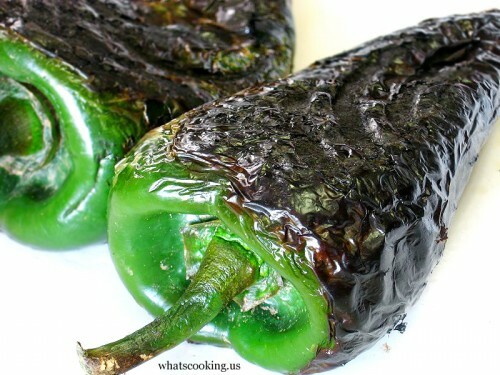 The poblano is a relatively mild chile pepper originating in the State of Puebla, Mexico. 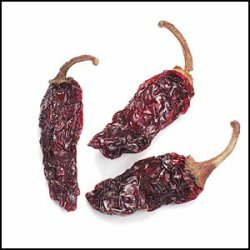 Dried, it is called an ancho chile, common in the US, while the Rocotillo originated in Peru and is much better known in South America. 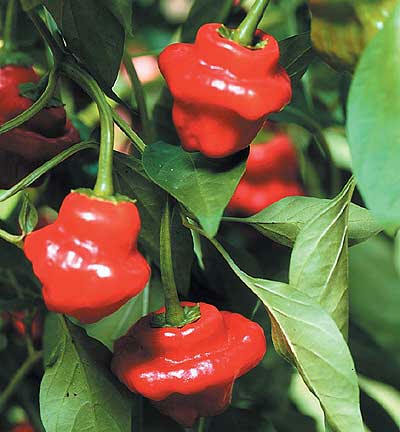 Very good to eat and cook with and not a heat-bomb for the mouth, this pepper group is very acceptable to most of us. From goulash to salsa, this level of pepper heat is quite easy to take, like a day on the beach. Not too hot, not too intense, just a little warmth. These peppers are more of a training ground really for moving up the scale and earning the real Hothead designation. 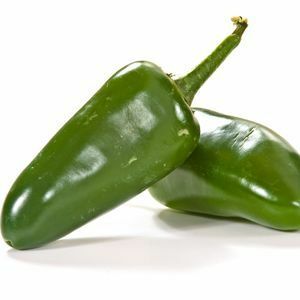 Serrano and Chipotle, at about 5 times hotter than the jalapeno pepper, are popular in Latin cooking, particularly in food from the native Mexico. Chipotle adds a smoky spicy flavour which is quite delicious and nicely mellows much of the heat so that you actually taste the pepper, then feel the afterburn. This is the pepper group that has the average heat used for most mass appeal, such as Tobasco and Chipotle. Most people will eat something spiced with cayenne or tobasco and remark on the heat, and say something like “it’s spicy but not too bad”. And Hotheads will say hah, these are for putting on breakfast cereal! Everyday peppers that most of use in cooking and seasoning. If you like Thai or spicy Indian food, these are most likely the peppers that add the heat to those dishes. This group is also popular in many central African meals as a nice accent – no problem for the Hotheads in the crowd. However, these peppers can still make you say “wow” if you aren’t into the spicy stuff. We all have our favorite hot pepper stories, and most of them revolve around this level of the old Scoville scale. 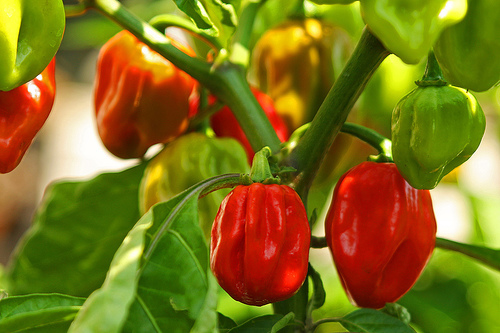 Habaneros, Scotch Bonnet, Jamaican Hot Peppers are all popular in markets and sauces, and no doubt most of us have had that time when you took a bite of the “spicy” dish thinking, yeah no problem, when it takes you by surprise. These are the peppers that make that happen – and sometimes a video just says it all. NOTE: This video is completely tasteless and not for anyone squeamish or with any sense of taste. Really, it’s gross. The Red Savina a unique variety of the habanero specially bred to be especially hot. This pepper has burned the scales at over 577,000 Scoville heat units, twice as hot as regular habanero pepper, 65 times as hot as jalapeno pepper. Just one gram can cause detectable heat in 1,272 pounds of sauce, and over 8 pounds of fresh Red Savina Habanero Peppers are required to make 1 pound of dried ground pepper. They say that taking a bite of a raw Red Savina Habanero is like bungy jumping – you’ve just got to do it once. The Bhut Jolokia pepper from north-eastern India is rated as the world�s hottest pepper as measured by the Scoville scale. 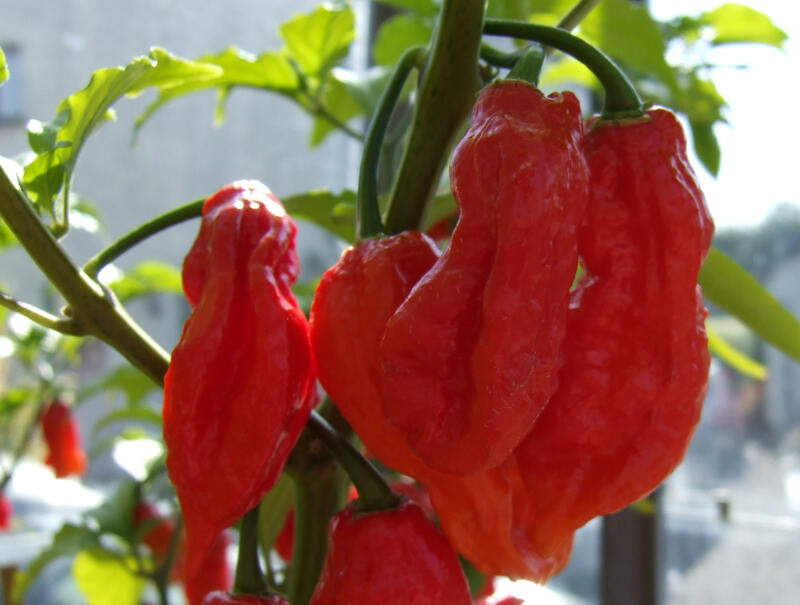 In 2005, at New Mexico State University Chile Pepper Institute one bhut jolokia plant registered a Scoville rating of 1,001,304 SHU, which by comparison, Tabasco red pepper sauce rates at 2,500-5,000 SHU. There are many uses for the pepper in addition to eating, as the Jolokia is used in spiritual, herbal and medicinal but one of the best is in north-eastern India, where the peppers really can save your life. The peppers are smeared on fences or used in smoke bombs as a safety precaution to keep wild elephants at a distance. That about says it all. This is the same pepper that you see the guys with no shirt on “Cops” get sprayed with, and is serious heat for authorized use only. If you are eating anything this spicy, then you oughta be arrested! 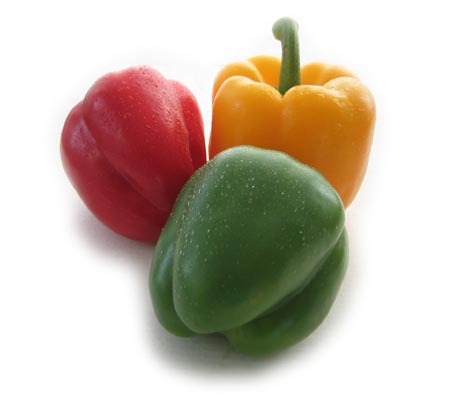 The pungent components of Capsicum annum include at least 5 compounds, known as Capsaicinoids. Each of these compounds, even when taken out and isolated from pure capsaicin, at 50% of its potency, they are still far hotter than any pepper that we would eat – and live to talk about it. 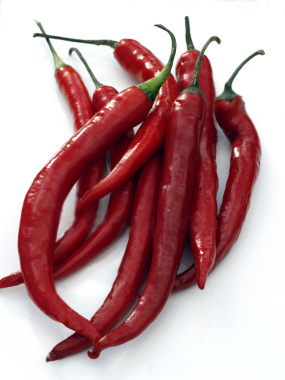 Capsaicin is the hot stuff in the chile. 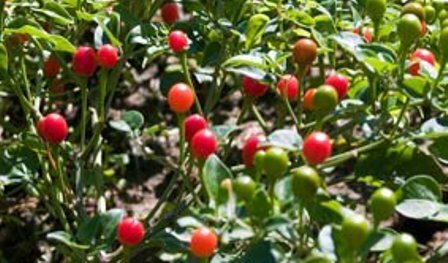 The compound was first isolated in the late 19th century, though use of capsicum plants has been in traditions around the world for thousands of years. 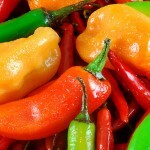 It is common for people to experience pleasurable and even euphoriant effects from eating capsaicin-flavored foods. Folklore among self-described “hotheads” attributes this to pain-stimulated release of endorphins, a different mechanism from the local receptor overload that makes capsaicin effective as a topical analgesic. In 2006 it was discovered that tarantula venom activates the same pathway of pain as is activated by capsaicin, the first demonstrated case of such a shared pathway in both plant and animal anti-mammal defense. The hotter the better – c’mon baby, I know you like it! Oh man – that video clip of the guy eating the habanero is nasty! ah at last, I could find your post again. You have few useful tips for my school project. This time, I won’t forget to bookmark it. 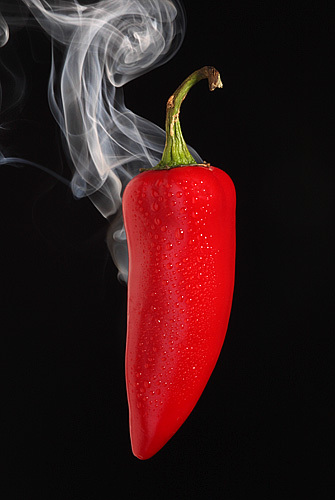 No comments —– BUT, I am looking for anyone that has a recipe to make chile rocoto hot HOT sauce ? If you would be so kind and send It or THEM to me ?